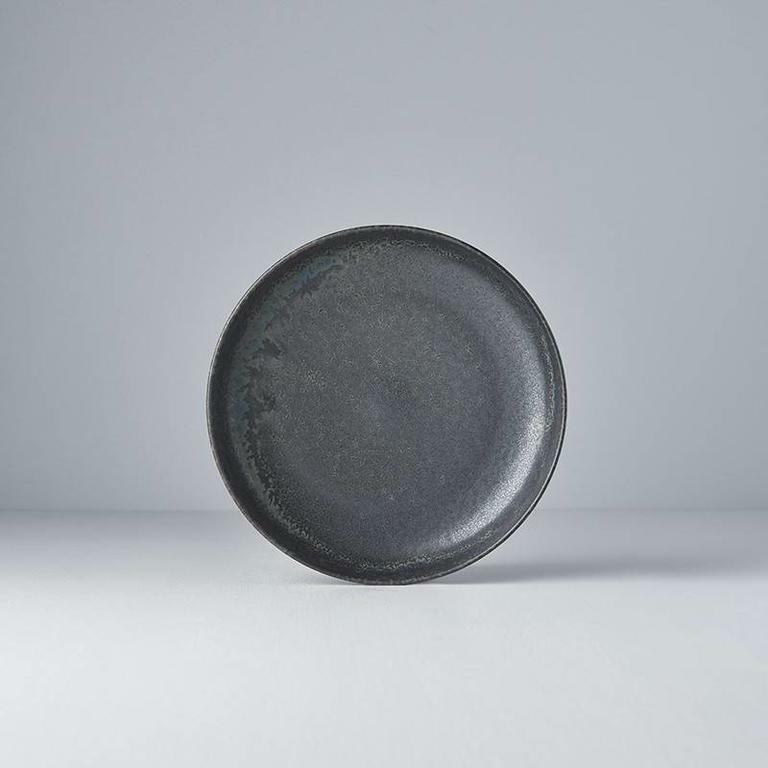 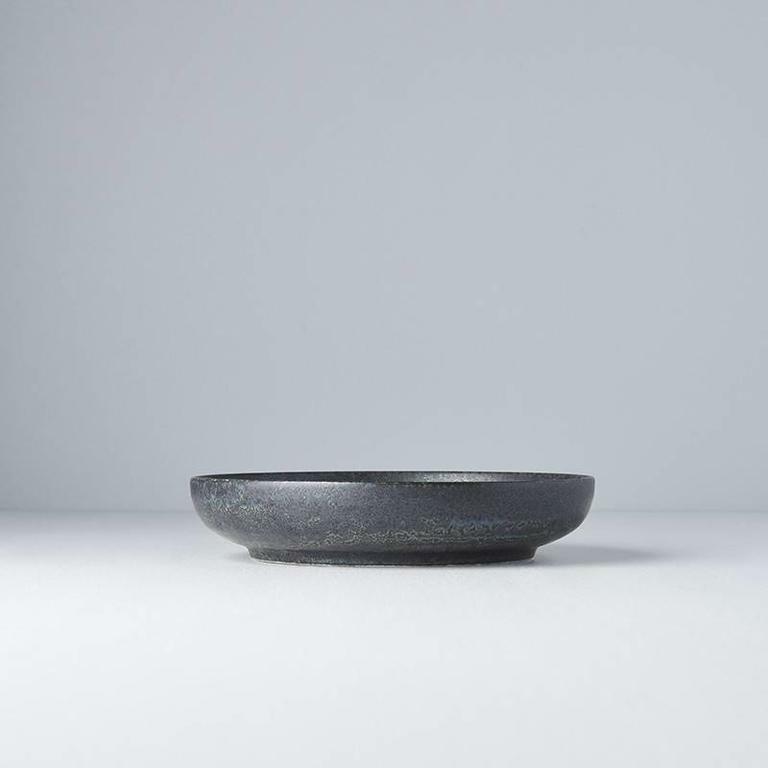 The BB collection features black glaze products with a fabulous patina, when the light catches the glaze you can see both blue and cream tones. 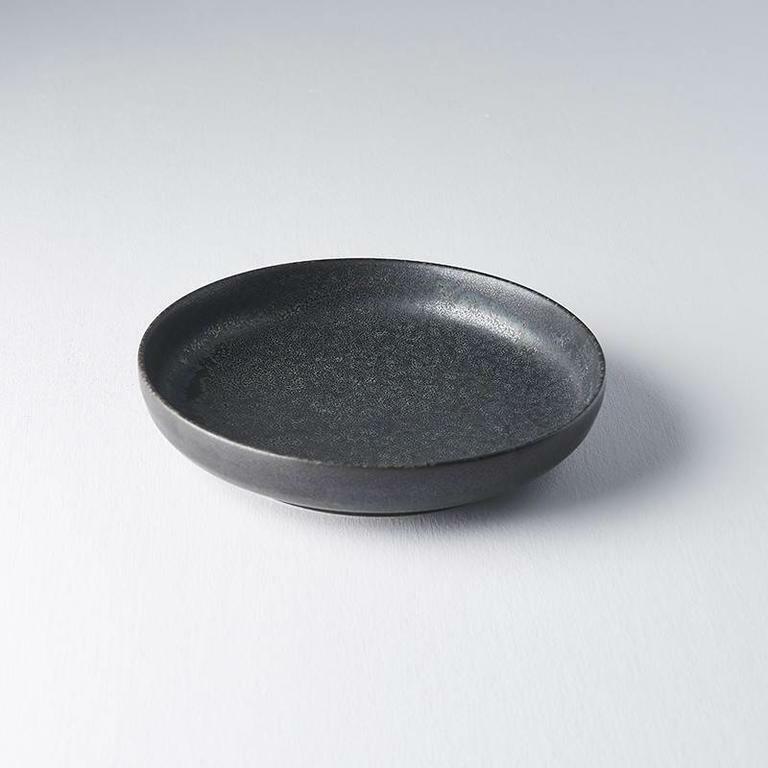 This plate with a high rim will really accentuate your favorite dish of food. 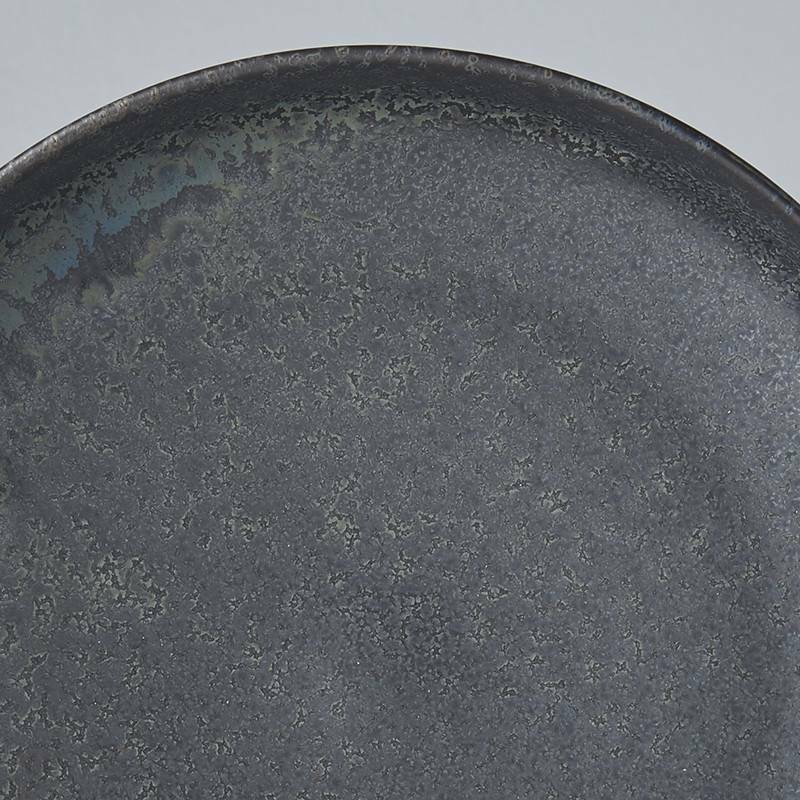 Green coloured high rim plate from the Fade Collection, 20cm. This is a really earthy green with brown and white tones showing through.